Welcome! Come and relax in a green and peaceful setting close to the medieval city. Our team is on hand to ensure you have a successful stay, whether you are traveling for business or leisure. 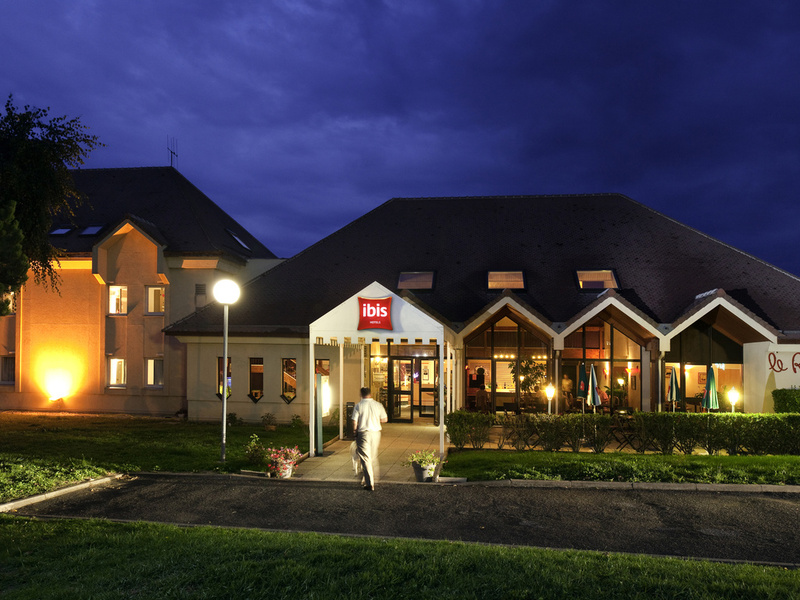 Located on the doorstep of the medieval city, a UNESCO World Heritage Site, and close to the city center, the fully renovated ibis Provins hotel has 49 rooms with free WIFI. Its restaurant with terrace is open every day of the week. The hotel offers a ren ovated meeting room measuring 538 sq. ft. (50 m²), which is modular, fully equipped and has natural light. Come and discover the Tour César, historic underground tunnels, medieval city center and culinary specialties made with Provins roses. Hotel close to the medieval city. Sightseeing: Tour César, underground galleries, museum, Saint-Quiriace church. From May onward, medieval chivalry and falconry events. Events at weekends in summer.